We recognize that you have a choice in selecting your healthcare provider and will do whatever it takes to ensure your complete satisfaction. For your convenience, we have posted the following New Patients forms. Please complete them at your leisure and bring them with you at the time of your appointment. We ask that you arrive fifteen minutes prior to your appointment time, to ensure that all necessary paper work is complete before seeing Dr. Reyes. We ask for at least 24 hours' notice to reschedule an appointment as we have set aside time to accommodate your specific needs. Missed appointments or cancellations may result in additional charges. Please read this HIPAA NOTICE OF PRIVACY before your sign the Notice of Privacy Practices Acknowledgment Form. For New Patients:We do not prescribe narcotics or controlled substances on your first visit. These documents require Adobe Acrobat to download. 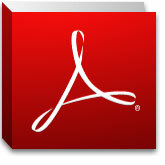 For a free version of Acrobat, please click on the Acrobat Reader Logo. We gladly accept Mastercard, Visa and Discover credit cards for payment.